The Pirate's Guide to Freeport created a new baseline for Freeport adventures but focused purely on the setting. 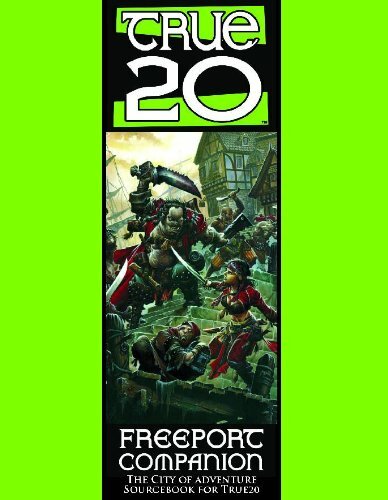 The True20 Freeport Companion gives players and narrators everything they need to enjoy exciting campaigns in the City of Adventure with the True20 rules. The book includes new heroic roles and feats, True20 stats for all the major NPCs and creatures, an alternate magic system, and a new Freeport adventure. Set sail for a new world of adventure with the True20 Freeport Companion!